Our DS Series Roll-Up Sheet doors are designed to be versatile, durable and easy to operate. 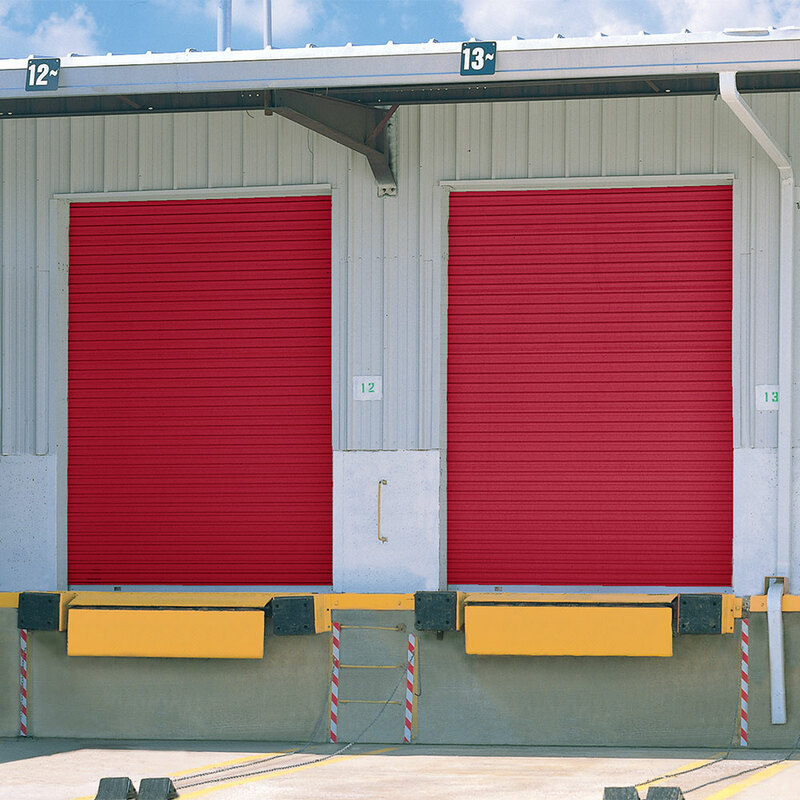 Each door in the DS Series is constructed of 26-gauge, galvanized steel and features automatic door stops, a steel axle to support the door curtain and counterbalance system and oil-tempered steel springs for smooth cycle performance. With a variety of colors, options and sizes to choose from, these doors will fit almost any commercial application. The heavy-duty Model DS-350 has statewide Florida product approval for wind load protection up to 190 mph. This door is ideal for commercial applications with openings up to 16’ wide by 16’ high. Heavy-duty 13-gauge guides attach to 8-gauge wall angles to give maximum wind load protection. Installation to masonry or steel is quick and simple with no special preparation or overhead tracks needed. Polypropylene anti-wear strips on continuous guides for sliding metal parts, providing quieter operation and longer service life. Cast windlocks are riveted to curtain as required for wind load rating. Slide-bolt assemblies made of heavy-duty steel lock the closed door from inside at the bottom corners. For added security, both slide bolts accept padlocks. Exterior curtain lock also available. Wind load door guides are formed from 13-gauge galvanized steel and install readily to masonry, concrete, or steel construction. Automatic door stops prevent door from rolling up past header. Insulation featuring two layers of aluminum mylar film laminated to two layers of heavy-duty polyethylene air-bubble material. An R-value* of 4 helps control heat gain/loss. Includes flexible vinyl top and side draft stops as weather seals between the door and the building. The Teal, Tangerine, Maroon, and Purple colors have a 10-year warranty against chalk and fade. All other door colors have a 20-year warranty against chalk and fade.